We are in for a time where everything starts, goes on and ends in online. Take our dating history for example. Where did your mom and dad meet? In a party perhaps. Or school. Maybe while clubbing. Or in a more fun way while adventuring in the wilds. Also, possibly led by their parents is an arranged way (most adventures way possible meeting an unknown for marriage prospects. Whoof!). Also, whom they found while attending another relatives wedding. Now, if you want anything like those for meeting the one of your dream you need an excuse. A party, meet-up, conference, tour, something. And all of it is done on the internet now. More specifically people who organize these post or call out for people in websites. Those websites are run by these themes. The themes that will blow your mind with its features and possibilities. They provide a wide range of variation for your creativity and lets you to design what is on your mind. Your work, your idea, and your world just a little help from some IT nerds (or hotties). Find out more. Check out what you can get with your money. Names of 30 and more themes for your site to create the most happening, gossiping and lightning event of the year. One tiny theme and multiple uses. Multiple! From fun to business you can cover up all your life events with this one WordPress Website Theme and its charm never ends with time to time updates and trendy features. You can check it out fully before purchasing it. The theme can be used for conference, meet-up, musicals, plays, concert, workshops, summit, camp, games, home parties, etc. that happens in your life and you want your loved ones and new people join you in that. The package lets you manage your time schedule, venue, speakers, sponsors, attendees, performers, registration information, ticket booking, map, members and so on. The theme is an all-in-one project. 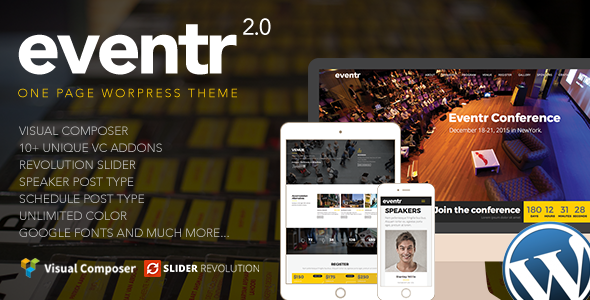 This beautiful trendy yet classy, feature-rich, fast-loading, customizable, functional, easy-to-use and adaptive theme will save you lots of time and money. It is same beautiful to use and look for any device. Totally responsive. Can be accessed from any browser as well. But the journey does not end here. You get highly skilled, oriented, friendly pre-sale, after-sale support from the creators. The theme itself is very easy to manage and with experts help you will not need to wreck brain behind it much. 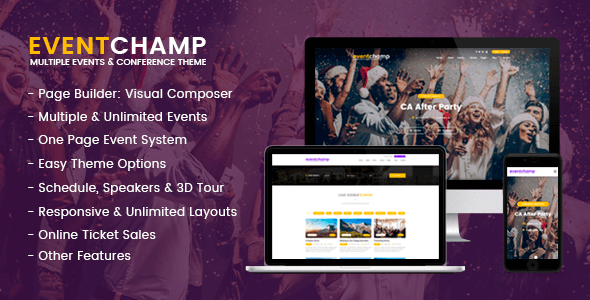 This highly customizable theme let you use it for more than one type of conference, events, touts, meet-ups, concerts, plays, musicals, workshops, summit, camping tour, and anything possible. Its amazing features and great looks make it a desirable theme even for the novice. 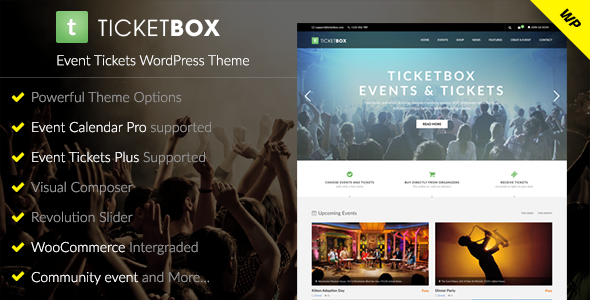 Its feature-rich, fast-loading, customizable, functional, easy-to-use and adaptive features let you manage venues, schedule, speakers, sponsors, mapping, member registration, tickets, performers, participants, etc. with great ease. It is also highly responsive towards any device of any resolution. Its style does not make it easy for your use but also the viewer gets a happy user experience. They can register and find out details with great ease. It can be adapted in various languages too so that people from all over can get engaged. The coding is completely clean and valid. You just need you download it and you are ready to go. 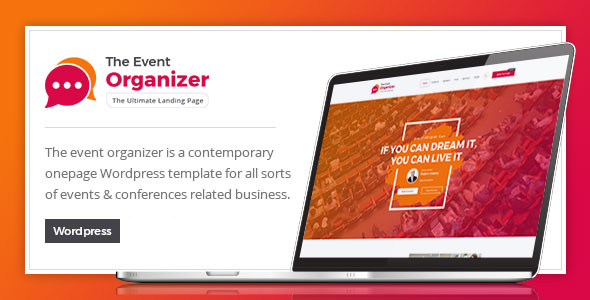 A real easy way to launch a website for your next conference or big event. The theme purchase comes with detailed installing info and a great service team. It is highly customizable that lets you do your job fast and launch a wonderful site. It offers the complete feature package that you look for a great event website and also done with ease. By being Search Engine Optimization friendly it keeps your website rank higher always for more people to get connected. The whole theme is very friendly for the launchers and viewers. It is a great theme for your business purpose, conferences, music festival and more. 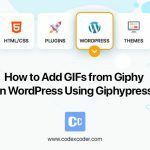 The WordPress theme lets you have a wide range of option to customize it according to your need thus helps you to connect with your viewers. Its demos help you to get a full understanding of the project and how it works. The theme lets your site be fully equipped with all sort of detailed information table and various options. It is flexible so that you can turn it up as your own that will interact with your viewers from your point of view. 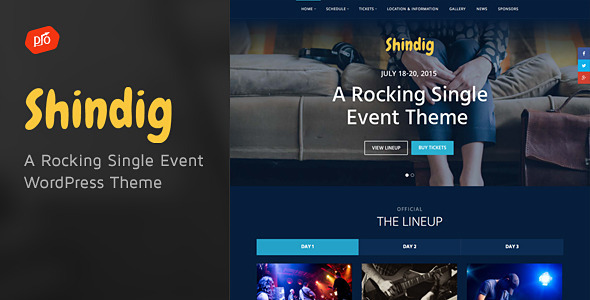 Event creating WordPress theme for the conference, meet up, musical concert, workshops, summit, camp etc. It is beautiful to look at, easy to work with and fast loadable. Customize it the way you need your website to be. It has all the features and easy managing options. It fits any devices and works with all browsers. It is a complete package for managing everything from dates and venues to every minute detail relating the occasion. The theme provides you with everything that you necessarily need to run a successful event. 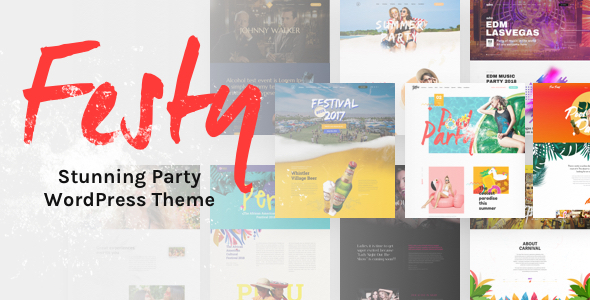 It is a fully featured WordPress Party Theme for your website where you can customize it with your favorite colors and styles. A detailed help file is added with your purchase that will help you to set up your theme with great ease. Throw a party, concert and let people know. Easily customizable and flexible built lets your artist brain to work on the project the way it wants. Built it using HTML5 Boilerplate for a fast, robust and future-proof site. Let the world know what you are up to and how they can join you in the gala ride with this fantastic website them. Just a click away. Photoshop files are included too. 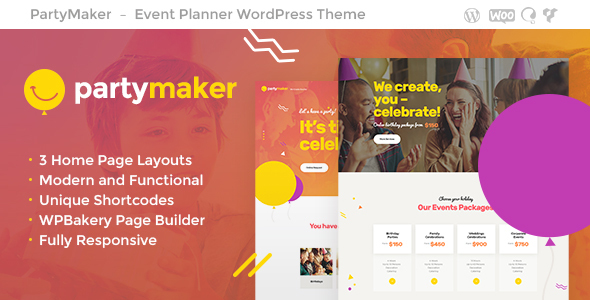 This theme mainly focuses and works for event organizers. Specially designed to let you put together conferences, congresses, meetups, workshops, summits, startups, seminars, courses etc. like a pro with great ease. 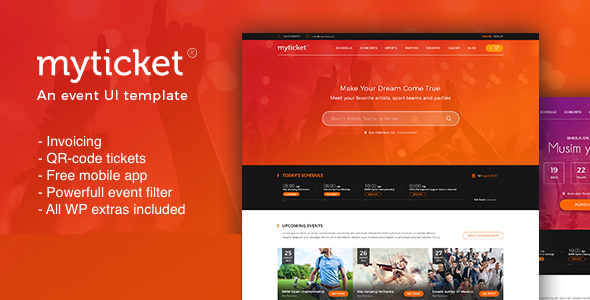 The theme supports most online ticketing systems, Eventbrite, Eventzilla, Tito, Ticketleap and much more. It has got special pages for conference party, event end, city information, coming soon etc. that makes your website even more realistic. It has got a support system for WooCommerce, Retina, ready for translation, can be customized for price tables, google maps etc. 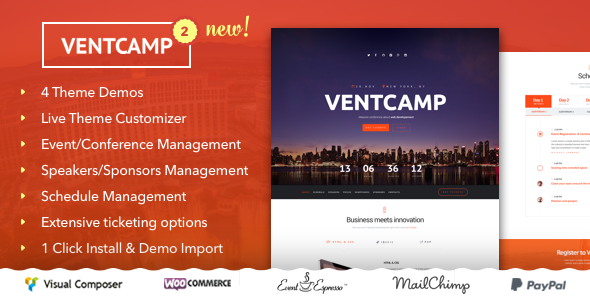 The simple one-page theme for conference, event, workshops, summit, meetup etc. with great features and helpful guideline. You get free support from the author to totally establish your website. The theme makes it easier for the organizers and viewers to engage easily with the event preparation and attendance. 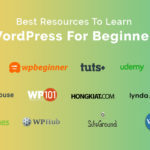 Other than these magnificent features you get Speakers Post Type, Schedule Post Type, Testimonial Post Type, FAQ Post Type options as well which makes your website more information rich and helpful. It is an extremely customer-friendly site with a record of great customer support history. With their fascinating support system and easy coding, you get to set the website of your imagination with uniqueness thank its unlimited choosing options. It is well-designed, completely responsive on any devices and highly functional. Specially built for conference, event, seminar, exhibition, congress, meeting, business conference, event management, meetup Websites. Make your event more colorful with unlimited color access. 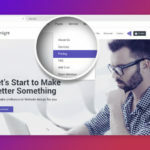 It has also got drag and drop page builder, child theme compatibility, theme options with Redux Framework and much more to make your website different and better from others. Elegant yet trendy looking theme for your most ravishing parties of the year. It is built for the event planners who like to take things to new level. The theme can perfectly suit any type of wedding, birthdays, anniversaries, engagement parties, get-to-gather and so on without missing anything. The user-friendly combination of vast functionality and comfort will help you to create the event of your dream every time with its unlimited option and easy management. It has got easy automatic updates that keep your neck to neck with the changing trends. The powerful admin interface lets you work easily too. It can be translated into any language for everyone’s convenience. Want something for events, ticket, course, training center, trainer, education, business, and shopping? Then this the theme for you. It is rich in every features that you need for your absolutely functional website. The WordPress Theme is coded in such a way that designing and managing it becomes easy even for an undergrad. Also, you get free support with every purchase. The theme is WooCommerce ready too so make paying easy for everyone. 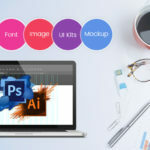 With its exclusive showcase plugin, your website will become unique and better and cooperative than others. 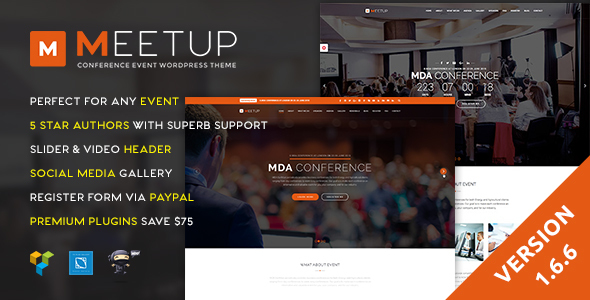 A great, responsive, presentable and slick theme suiting any event sites, conferences and similar sites. It features allows the organizer to decorate it as per their wish to create their event and invite people. It has got one click dummy installation with Default Menu, Posts and Widgets, Event, Default Slider, Pages, Widgets for your help and better understanding. It also has a feature where you can drag and drop page builder with section wise management. Its color scheme is limitless and has got more than 35 content elements that make your site remarkably good looking and helpful. 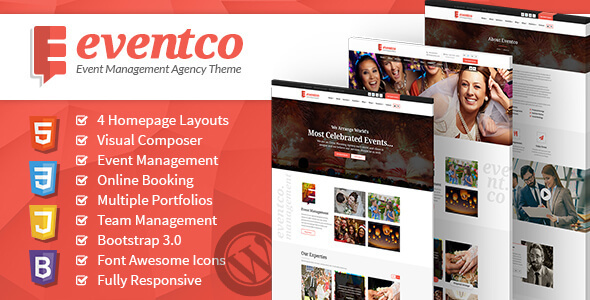 The right theme for event management companies and agencies for its quality designs with responsive functionality. The beautifully crafted design attracts the eyes. With multiple page layouts, you get to chose from for the best one. Weddings, birthday parties, social meeting anything can be done with the theme. 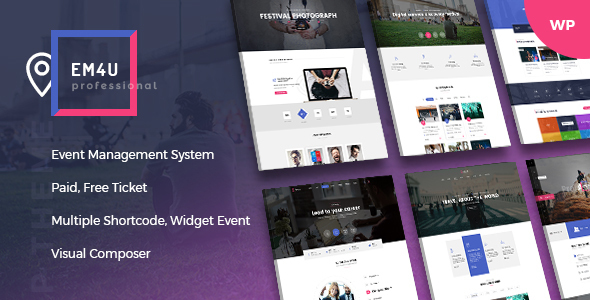 The theme is completely responsive to all devices that let you get connected with people from everywhere as you put up the most celebrated functions on planet earth. It has got pages for event landing, services, team, multiple portfolios, multiple blogs, listing, testimonial, contact, etc. that will complete your page’s look and info. 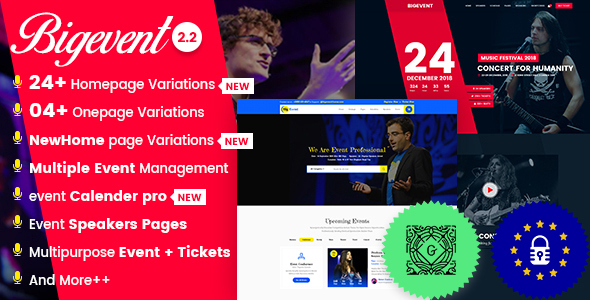 With 12 homepage option for a business conference, a technology fair, concerts, educational events, traveling, sports, gaming, art, fashion and more the theme lets you create new multiple pages for your site according to your need. The site layout is 100% responsive that makes your pages same beautiful on every device. You can customize your them as per your taste according to the event you are making. The theme lets your viewers interact with you and others with its commenting section, galleries and e-mailing option. You create a self-dependent system for your events that can reach anywhere in the world and interact with more people. 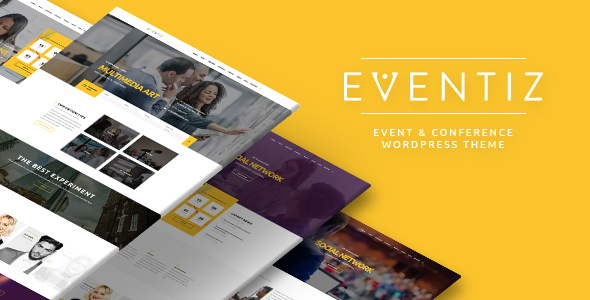 The highly functional WordPress theme lets you launch your event in few quick easy steps. From designing to ticket selling everything is inside and ready for you to choose. Designed by the veterans of the industries the theme knows what the customers and their viewers want. They have put lots of researchers behind it for bringing out the best theme possible out there. The designs support sweet to serious themes and are fully equipped. You just have to purchase it and you are ready to go thanks to its live customizing option. Manage everything as you want to. 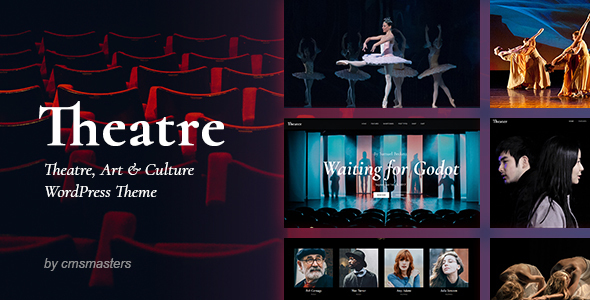 The classy WordPress theme for theaters, operas, and art events. It features advance portfolio functionality to display theater plays and entertainment events photographs, opera records and promo videos. The theme includes a profiles functionality to showcase your theatre actors and opera singers and performers. Also lets you advertise your theater, cinema and art events, opera and ballet premieres, performance and theater festival schedule. Everything that your theater and art stage need to thrive in the busy life of people. You will be amazed to see its features and how it brings your creation and love of art blooming into life. It helps you to connect with people out there and lets you share your imagination as well. 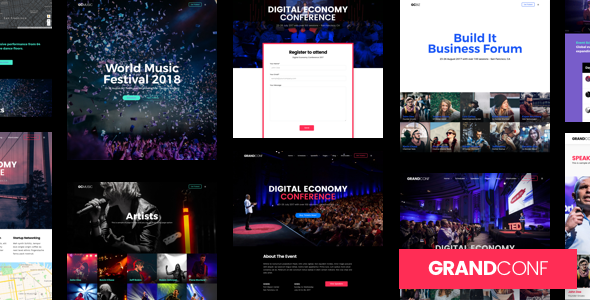 A very unique but fun looking theme idea for your event and conference site. Professional work and artistic design make things lot easier and better. 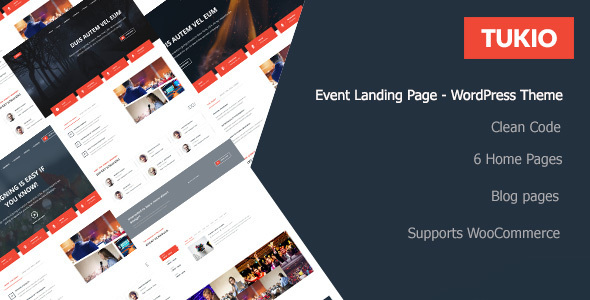 The event ready pages let you launch your website immediately. They are all fully responsive and suits all the devices and pixels and looks equally beautiful everywhere. There are more than these features that will make your website better for you and your customers. You can easily alter it according to your need. 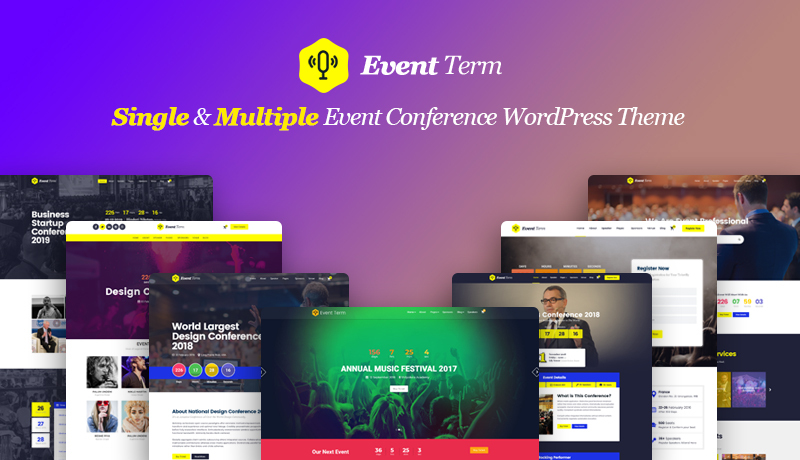 A modern Multiple and Single Event, Conference WordPress Theme and design template for conferences, events, meetup, webinars, business and so on. 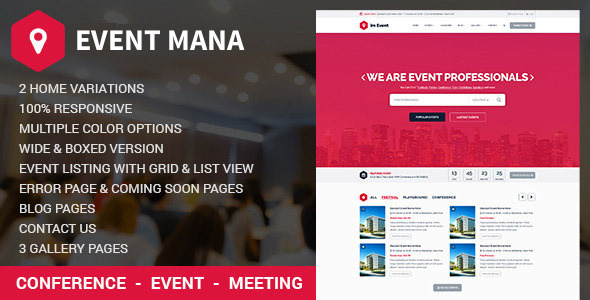 The event management system allows you to establish events, speakers, venue, schedule, coupon, info the way you want and manage attendees conveniently. Supports any payment gateway like Credit Card, Stripe, Paypal, Offline and other. Also, supports checking ticket by QR Code, Export Attendees to CSV file and got more features. With these and other multiple elements provided your website will rock. All of it is easily manageable and supports IE9, IE10, IE11, Firefox, Safari, Opera, Chrome, Edge. The fun theme. It is super cool. The design, layouts, options everything screams fun. A great theme for your home parties, beach parties, bachelor and bachelorette parties, weddings, concerts and all other fun stuff. Extremely easy to create a website with it and also reach out to people. With translating tools and all browsers-friendly mechanism your website can reach everyone in the world and engage them in your master plan. They provide a great documentation on how to do and if not they have an enthusiastic team of mechanical supporters. 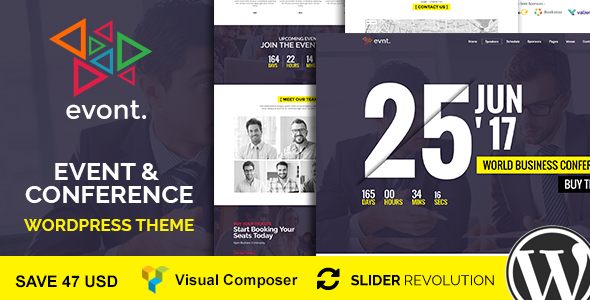 Rich new height in managing events with this friendly and serious theme for you. Conferences, exhibitions, trade expos, award ceremonies, annual functions, seminars and variety of other events can be organized using this simple them. The theme enables systematic presentation of information, in a layout that allows to brings focus to key details of the event. The theme can create an interactive environment, is capable of executing sophisticated functions and such widgets. Keep ticket sales, registrations, media information section with photos, videos, blogs, Google Maps, countdown timer etc. under check with the fascinating design. It is a modern and creative WordPress template that will open up great possibilities for you. Completely loaded with useful features that will make your website richer for your audiences. You can get a sense from the name. 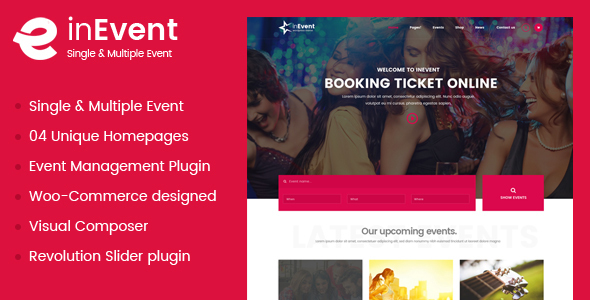 Your tickets will get sold out thanks to its eye-catching design and user-friendly features that make the theme a perfect root for setting up your event website. Engage people in your event, reach out to new horizons and sell your conference ticket. Give this theme a chance and all your events will be a hit. With its multiple options and abilities, the website will be easy to create and manage in the future. Your viewers will be satisfied too with the ease of its working and beauty of its look. 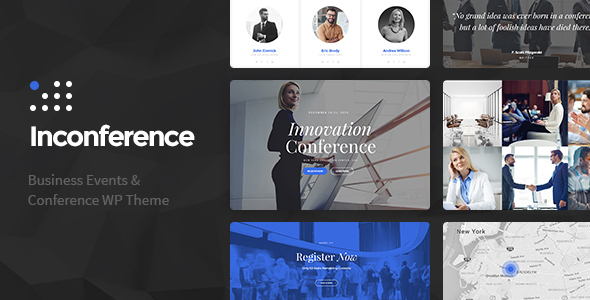 This theme for conference, webinars, and events is a modern responsive WordPress theme in the field. It has all the important section included that is required for a successful event. It helps you to provides your viewers and attendees with tiny little details regarding the event that you are arranging for them. It includes date, time, lecture room and speaker etc. It has also got more than 100 icons included with each purchase, can be translated into both French and English, has got full browser compatibility and can be easily customized. A sweet way to mean business. The theme is dedicated to serving business meetups, technology conferences and exhibitions, product release events, business conferences and all other sorts of marketing and business events options. It has got everything and anything that you will need on your journey and easily manageable. All the plugins are designed to fit the theme nicely. 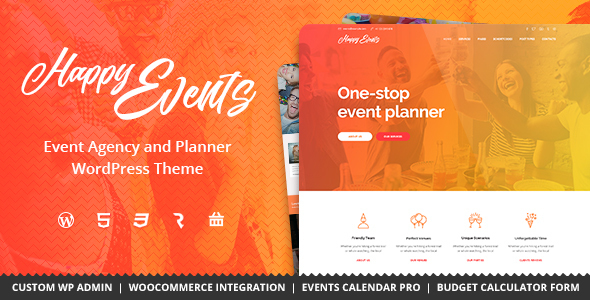 You can either use a free version of the events plugin or purchase an Events Calendar PRO add-on (always sold separately) that extends events functionality even more. Both free and pro versions are styled for the theme. 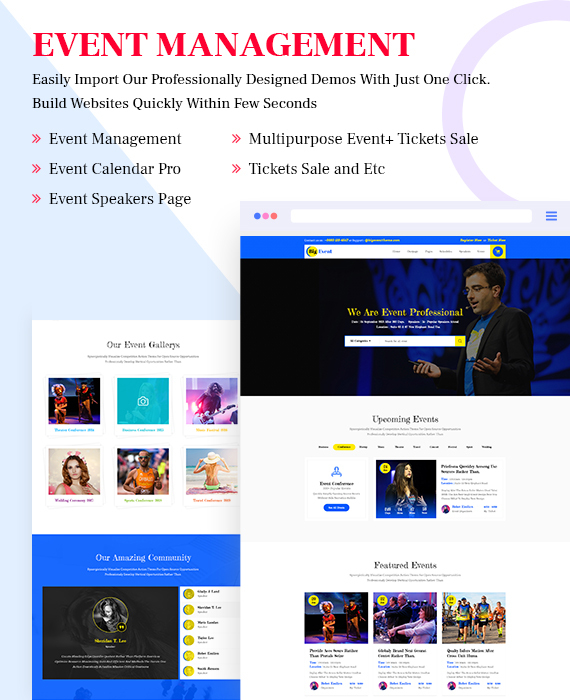 Also, the theme comes with custom CMS masters functionality of Event Schedule so you can display all-conference and meetup information in one shortcode to schedule for every day of conference, speakers, halls where every event will take place, event time, etc. It is your complete solution for your conference or event website. All the style well designed and function well described. You have got a section for everything with new building option and immense possibility. It is fresh. It is modern, and it is right for you. With features suiting the modern need and taste you will love to work with these easing coding. The demo will help you out in installing. Use it for all type of event, conference, summit or festival. Its easy customization lets you to quickly start a great event website. You get a live demo on how to install it. It has a feature that will help you to provide all the necessary information to your viewers relating to the event. It is super optimized and Google loves it. Will keep your event ranking on higher position for people to find it easily. It lies in the name a very simple theme for your website. It is perfect for small-scale event venues, concert halls, arenas, theatres, centers and many more places people meet or visit to entertain. It helps you, the organizer to create an event, list and organize everything related to it as easy as possible on the net. It can be your perfect showcase platform. It lets you work on your own so that you can create the website according to your event style. Provide information suitable for your audience and manage it as well. 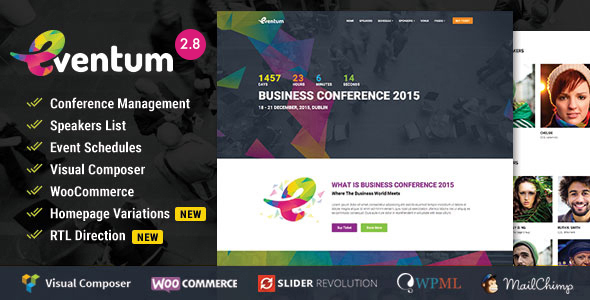 This theme extends default WooCommerce functionality. Create an event, use its plugin specify its features, types, categories and any other custom information. Once the event is specified ticketing system is automatically linked to it. You can list all your event together with their respective details on the website. It has got QR-code scannable ticket receipt system also. Though the site is easy to work with the authors also provide quick and friendly support as well for you to work well. 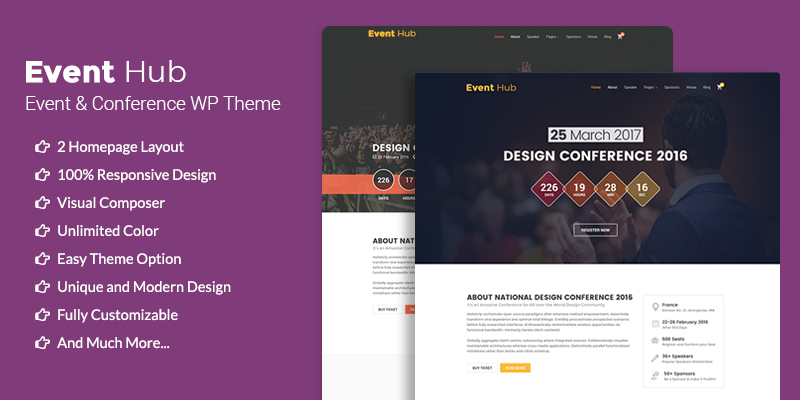 This one theme will cover up all of your event website related stuff. A great deal for event organizers whether they are professional or not. The theme will help you to plan successful events. You get the nice schedule, beautiful speaker details, easy to find Google map location, multiple custom pages, themed color and other features that will make your event hot topic of the time. 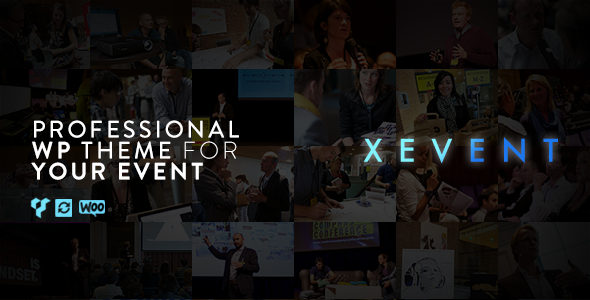 Reschedule your time, speakers, personalize tickets, sponsors, event categories, create Google mapping, use PayPal to get ticket fund and everything else that will make your job easy and beautiful. 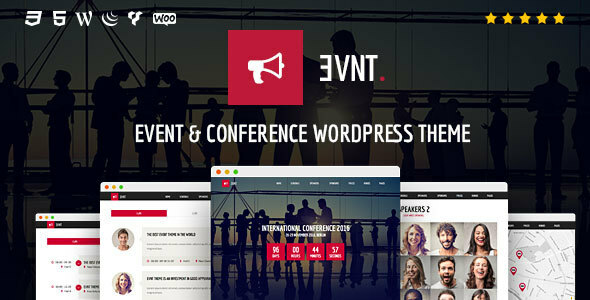 A dedicated WordPress theme for conference, meeting and event websites. The purpose-oriented design, responsive layout and brilliant premade design concepts to represent content in a smart way. 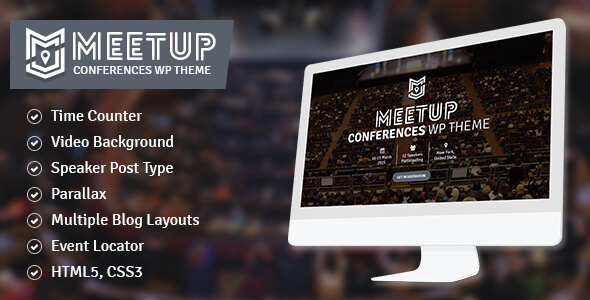 This highly customizable theme lets you quickly start a stunning site for any kind of event. You get everything at your control panel that you need to run a successful event. Its intuitive theme editing system lets you customize style real time based on predefined parameters. From fonts, colors to the widget you got it all. The festive and elegant design allure the viewers and make it easy for the customizers to create a website as per their taste easily. This is perfectly suitable for wedding planners, corporate events, restaurant rental, party decoration, planners of special occasions and special moments like birthdays, anniversaries, engagement parties, private parties arrangement or any other events. 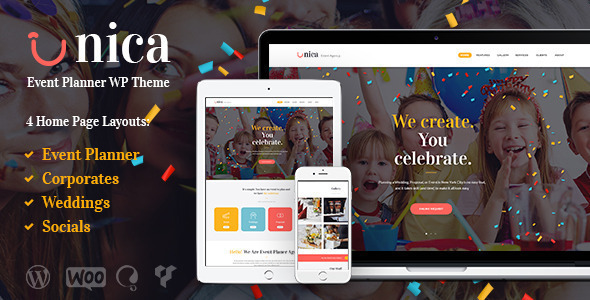 You can sell products, meal, food, or any other event accessories and stand a whole business with this WooCommerce and WPBakery supported the theme. Its unique setting and Override system makes it easier for you to work with. Also, you get a fantastic support system backing you up. 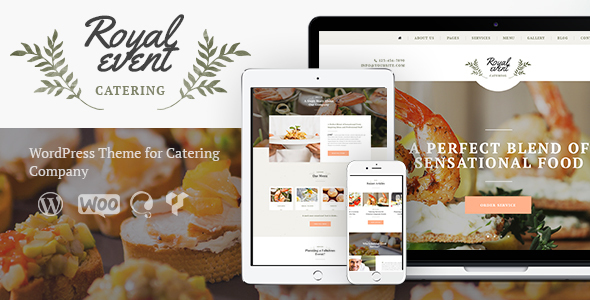 Sweet and easy website theme for your events. Fast loading as it has got less file included in it but only the necessary ones that will make your website all-in-one. With variations provide and flexible controlling system you get to recreate your imagination on the net and interact as per. You can add videos too with still pictures that make your site come alive to the viewers and attracts their attention. It will be your solution for creating successful events. Just like the name happily create happy events that will make people happy for a long time. 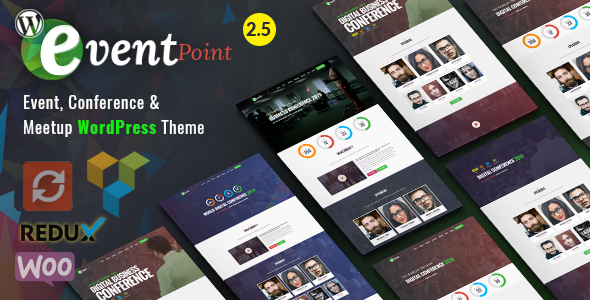 Spread happiness with this feature-rich, super responsive and easy to manage theme. Powerful functionality lets you display services of your events agency and create a website with an attractive appearance and fancy design. It has got a unique cost calculator that allows every website user calculate event expenses right on the event agency website. It is fully WooCommerce supported. Designed to be of service to any professional event management website that can be easily customized by every user. The theme includes everything that an organizer needs to represent her or his event with multiple choice options. The theme will be helpful for professional decorators, banquet managers or event planners, both individual and agencies. You can create the perfect wedding, special occasions and moments, birthdays, anniversaries, engagement parties or any other events. 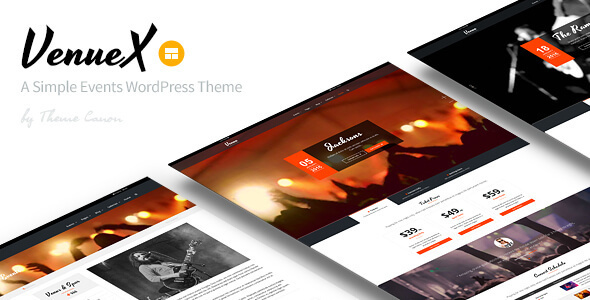 With its powerful features and coding, the theme will meet up all your need. It is fully responsive and will give you more than you can think of. Don’t worry these are not the end of the show. There are more fish in the water. But, as said before they are the best of the best. Hope, you find any here. 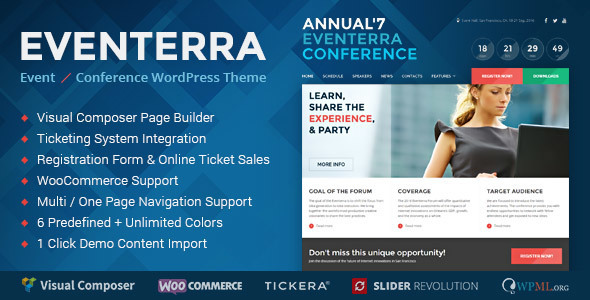 Great best-conference-and-event-WordPress-theme . Excellent blog writing .Thank for sharing your best idea. I love it very much and glad to see it.